Recognizing the need for green IT adoption is different from putting it into action. 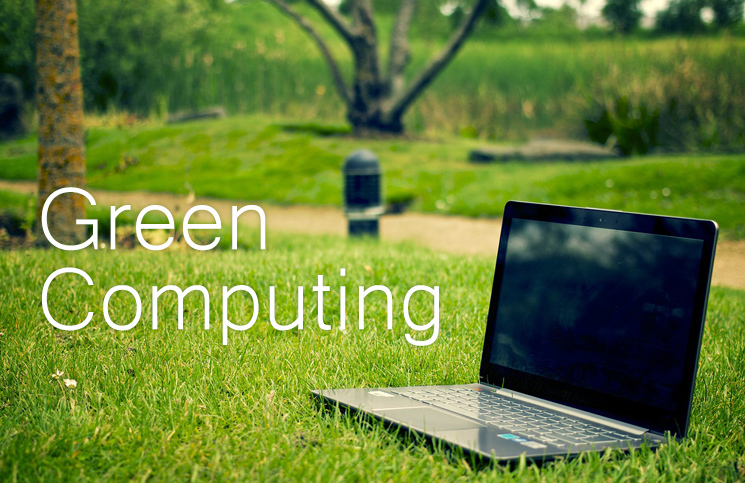 As of now, most companies, whether big or small, are still clueless on the point where to start in green computing. Innumerable amounts of studies have been conducted in making IT departments more environment-friendly. Thus, the whole IT industry is stuffed with information on green strategies, most of which may even clash with other environment-friendly initiatives. So, here comes up a 10-step guide to develop a more environment-friendly IT department in your company. It is always best to begin Green IT initiatives by communicating intentions to adopt an environment-friendly IT infrastructure. The push for energy efficiency should be cascaded down to every staff, setting the stage for collaboration between various departments. Once they learn about the initiatives, they will know that everyone needs to be involved. Once the ball is set to roll, you need to have a committee that will monitor and ensure that the company’s plans are adhered to by all members of the organization. One of the most important tasks that the appointed Green IT Committee must focus on is the acquisition of energy efficient IT infrastructure. This team should make sure that the IT groundwork meets all the criteria that are set for the protection of the environment. Where the company stands in terms of carbon footprint brought about by information technology services, is an important information to be known. Quickly establish a carbon footprint reference point. Check on the power usage in the IT center and compare it with existing power efficiency standards and metrics for industry. It is relatively easy for an organization to centralize its information technology (IT) system. With server virtualization, carbon footprints can be significantly reduced. By using more powerful computer applications, your IT systems can better deal with inefficiencies. Besides, faster software spares the servers from regularly operating at maximum capacity, thereby consuming lesser power. If one can only increase the speed of the computer applications that is used, one can have a corresponding positive effect on the energy use and carbon emissions. To reduce your CRAC (Computer Room Air Conditioning) power consumption for green computing, invest in supplemental cooling systems that are placed in between the rows of servers in data center. Thus, they can minimize the number of times in a day that the bigger CRAC units are required to work on full power. Apply new Data-Centre design technology that minimizes hot-zones. Consider the projected life-cycle of existing IT hardware. Can it be recycled? Will it decay in time? If not, then disposing of existing hardware can far outweigh the environmental benefits that you intend to achieve by buying newer more power-efficient computer hardware. Make sure that the drive for a green IT fits in your overall business operation. Better yet, ensure that environment-friendly IT and the business goals complement each other. By doing so, you will be able to achieve both green policies and bottom line goals. Now that you have taken the steps to ensure that company uses green IT, you need to get everyone involved in the initiative. The human resources department can support initiatives by regularly posting announcements and notices that touch on the subject of environment-friendly computing. Lastly, you should always check the results of green IT initiatives. Compare this data with the benchmarks and metrics that is set for the company. A good example is checking total power consumption for each month. If it has significantly dropped, then one can say that we have effectively reduced your organization’s carbon footprint.